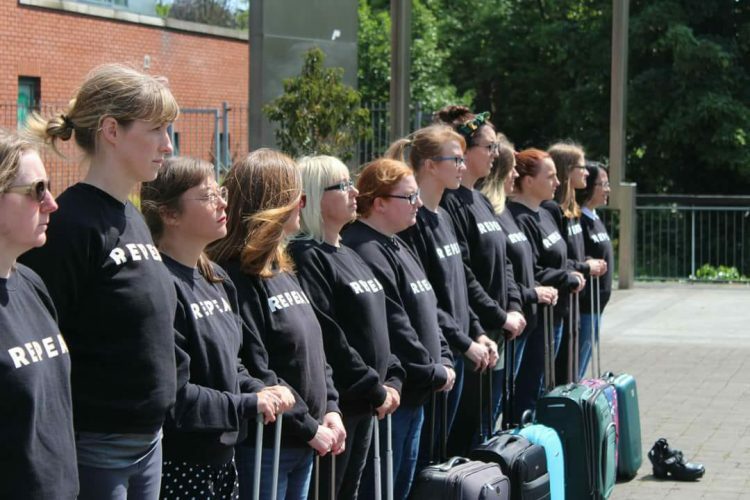 This morning, a number of pro-choice activists campaigning with Dublin Mid West Together for Yes for a Yes vote in Friday’s referendum held a demonstration in Clondalkin, highlighting the cases of Irish women who have been forced to travel abroad to access abortion. 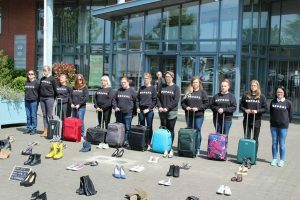 Twelve women wearing black Repeal jumpers stood amidst and behind an array of shoes, representing the average of twelve women who travel abroad every day to end their pregnancies, while the eighty four pairs of shoes represented the amount of women and girls denied access to abortion every week in Ireland, including the women who have had to travel, as well as those who can’t travel. 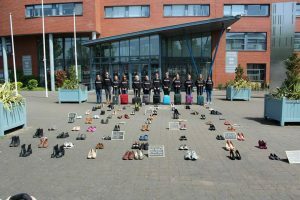 Kellie Marie Sweeney, a nurse and parent active with Together for Yes, organised the display after being inspired by the ‘In Her Shoes’ Facebook page (facebook.com/RepealTheEighth/). 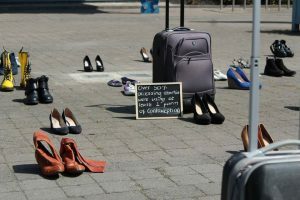 “Towns all over Ireland are displaying women’s shoes trying to convey the magnitude of the issue,” Sweeney said, in reference to the numerous other similar displays which have been held. 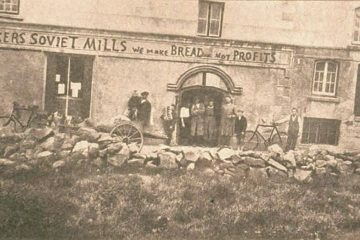 When asked what reality will be for Irish women if the referendum fails to pass, Sweeney said that “Not only do I fear that things will stay the same, but I fear that things will get worse.” She noted that we are putting women’s lives in the hands of British politicians, who we do not elect, and that they could change their laws with regards to abortion, which, as it stands, could affect Irish women very negatively. People Before Profit Councillor for Clondalkin Madeleine Johansson, who is also active with Together for Yes campaigning for a Yes vote, took part in the display as well. Many people who were passing by the civic offices in Clondalkin praised those who took part in the demonstration, some of whom were sporting their Together for Yes badges. 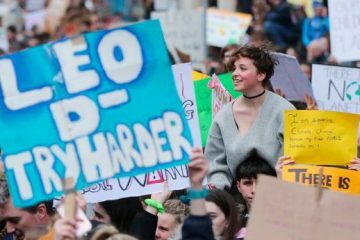 The organisers hope that come Saturday, they’ll have done enough work to ensure that Dublin Midwest, and indeed the rest of the country, turn out in high numbers to vote yes to repeal the eighth amendment.